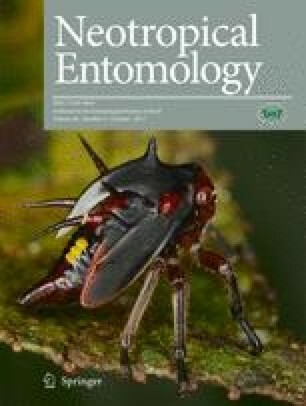 Specimens of the mango stone weevil Sternochetus mangiferae (Fabricius) (Coleoptera: Curculionidae) were found in fruits of mango from a tree in the residential area of the Rio de Janeiro, RJ. This is the first report of the S. mangiferae in Brazil, currently regulated as an absent quarantine pest in the country. A taxonomist specialized in Curculionidae confirmed the identification based on morphological diagnostics characteristics. This detection is a relevant finding, because Brazil is a major producer and exporter of mango and the main areas of mango for exportation are located very far from this detection point. This pest damages seed and embryo of mango fruits and it causes reduction of fruit size and its premature dropping. The detection was notified to the Plant Health Department, division of the Brazilian Ministry of Agriculture, Livestock and Food Supply (MAPA), which is the National Plant Protection Organization of Brazil. The authors are grateful to Mrs. Nancy Cardoso Souto for putting its home at the disposal of Embrapa Agrobiology research and the Ministry of Agriculture, Livestock and Supply technicians, and to Dr. Sérgio Antônio Vanin, Department of Zoology, University of São Paulo (USP), for the identification of specimens.